On 19 October 2017 CELC Middle School and Guilford Free Library will take part in Most Likely to Succeed’s worldwide campaign to re-imagine education. 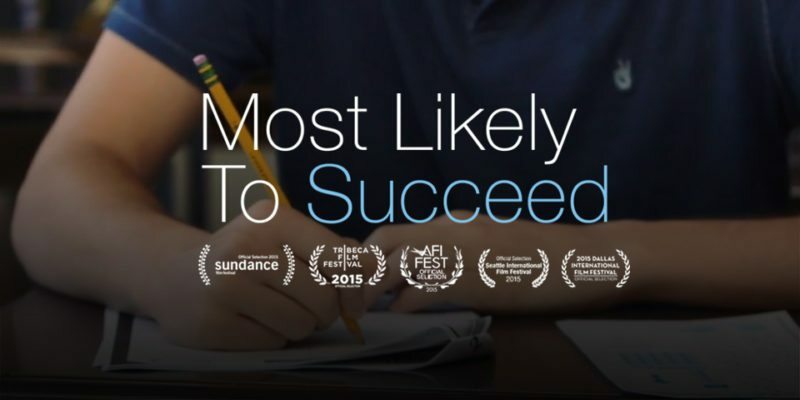 Most Likely to Succeed (MLTS) offers an inspiring look at what students and teachers are capable of — if we have the vision and courage to transform our schools. film festivals, including Sundance, Tribeca, AFI, Cleveland, Dallas, Milwaukee, Sarasota, Seattle, Virginia, and Bergen. It’s been featured at leading conferences on education, including ASU/GSV, SXSWedu, Harvard/Goldman Sachs, and New Schools Venture Fund. Audience members call it the most compelling film ever done on the topic of school. This event will take place at Guilford Library, 67 park Street, Guilford, CT. It is free and open to the public. Please visit mltsfilm.org for more information about the film and movement. CELC Middle School / Guilford Library film screening will be followed by discussion. Please contact mandm@CTExperiential.org or call 203.433.4658 or online www.CTExperiential.org for reservations and additional information.